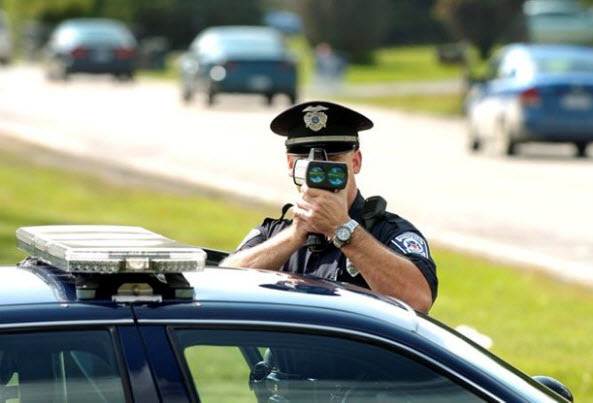 Fox59 recently published a story about where drivers are most likely to be cited for speeding tickets. Focusing on I-465, they found that drivers on the west side of the city were twice as likely to receive speeding tickets as those on the east side. The state trooper they spoke with for the story attributed that to the fact that the highway on the west side is more open and straight, causing more drivers to speed. And the spot where drivers are least likely to be cited for speeding tickets? Washington Street, on the east side. This story brings up an issue I see every day in my practice…clients being cited for speeding throughout the city, and also around the state. I receive calls every day from people who have received tickets for speeding, and also for running a light or stop sign, following too close, failure to yield and many others. And while they may seem innocent enough, paying a ticket can lead to more consequences down the road, and having an attorney can help avoid some of those issues. Under Indiana law, if a person is convicted of a major violation (such as OVWI or Failure to Stop After an Accident), and also receives nine minor citations within a ten year period, that person’s license can be suspended for five years. Three major convictions can lead to a ten year suspension. So if you are unlucky enough to receive one or two tickets each year and have a major conviction on your record, simply paying those tickets can lead to longer suspensions down the road. Additionally, if you have received more than one citation in a one to two year period, the BMV may send you a request for proof of insurance, and if you can’t provide it your license can be suspended for 90 days to one year. However, if you are able to successfully defend the ticket, or even obtain a deferred prosecution, those potential suspensions might be avoided. Moreover, if you have CDL, fighting a ticket may be the difference between keeping your job or losing it. While CDL holders generally do not qualify for deferred prosecution, an attorney may be able to secure a dismissal or plea to a reduced (non-moving) charge, helping to ease the pain of points on your license. Most people don’t think of traffic citations, speeding or otherwise, as very serious, and they usually aren’t. However, depending your history and driving record, they can cause more problems that you might not be aware of. If you have questions about a ticket you have received or your driving record in general, contact Chambers Law Office to discuss your options today.